Artem Revenko obtained bachelor and master’s degree in physics at Lomonosov Moscow State University. Simultaneously he has obtained a master’s degree in applied mathematics at Higher School of Economics, Moscow. 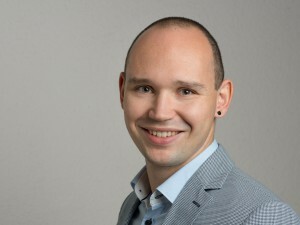 Later Artem continued in the area of applied mathematics and computer sciences on the level of PhD studies and obtained two PhD titles: one in mathematics at Lomonosov Moscow State University and one in computer sciences at TU Dresden and TU Vienna in frames of European PhD Program in Computational Logic. His PhD investigations are dedicated to (semi-)automatic construction of knowledge bases. Artem joined Semantic Web Company in February 2016 and he is in charge of coordinating R&D efforts and contributing to R&D projects.